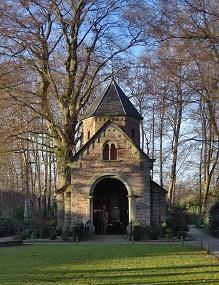 One of the beautiful places in Borne, Mariakapel Borne in Bad Bentheim is a historic relic. Nestled midst a petit park, the architecture is more like a neo-Romanesque style which is charming enough. If you want to experience peace and tranquillity, this is a perfect setting to your day. If you travel with a tour guide, you can also learn about the history and some interesting facts about Mariakapel Borne. If you are seeking for a religious affair with your family and children, this chapel is surrounded by various other cultural and historical buildings, which will only add up to your trip. Very nice cute place in Borne. Het is oké, een mooi kapelletje. Een rustgevende omgeving. Hier steek ik minimaal 8 keer per jaar kaarsen op tijdens elke geboorte- & overlijdensdatum van mijn grootouders.